Looking for the best ways to explore Cornwall? It may be your first time visiting Cornwall or you may a seasoned pro. Exploring the Cornish coast is a must while you are here! Perranporth is renowned for its 3 mile golden sands but the whole of Cornwall is just stunning. We have put together our top ways to actively explore our coast. Paddle Boarding- This is a great way to explore our beautiful coastline. If it's your first time, then why not try a SUP lesson an tour with Newquay Activity Centre. Just a 10 minute drive from Perranporth, you’ll launch from a sheltered section of coastline into the water and begin your stand-up paddleboard adventures in Newquay! Our coastline is a hotspot for biodiversity and historical legend; one side open to the powerful Atlantic swells and the other sheltered with deep smugglers caves. The water’s surface acts as a looking glass to peer through from your standing SUP position, offering clear views of the seafloor below. If you would like to explore the South coast on a stand up paddle board, take a look at Loe Beach Watersports. You can hire paddle boards from here to explore the Fal Estuary, a beautiful scenic spot. Hire them for a couple of hours and you can even paddle around to the local pub, The Pandora Inn. Why not pop your paddle boards on the shoreline and head in to the pub for a bite to eat or a refreshing drink? The Pontoon provides lovely outdoor seating on the water. Kayaking- If you would like to explore the coves and spot the wildlife why not take a guided tour of the coastline with the experienced guides at Koru Kayaking. They offer kayaking experiences on the North Coast around St Agnes just a short drive from Perranporth. Explore the coves and see our coastline from a different perspective. If you would love to see the South Coast too they offer the stunning scenery in the secluded French Man's Creek on the Helford river. Cycling- We have a beautiful area to cycle around here with numerous bridle paths and quiet roads for cycling. If you would like to explore Cornwall that little bit more, we would recommend the Camel Trail. Perfect for families this dedicated cycle trail is fairly level. The largely traffic-free trail follows the route of an old railway line once used by the London and South West Railway. The trail boasts stunning views of moorland, woodland and estuary. Bikes can be hired when you get there, we recommend cycling towards Padstow why not stop off for an ice cream or cream tea too? Riding- Even if you have never tried riding before it's an exihilarating way to explore both our coast and countryside. Reen Manor Riding Stables located in Perranporth offer countryside hacks, pub rides and exciting beach hacks. Their experienced instructors will help you find the perfect horse to explore our beautiful scenery. If you would love to book your holiday to Cornwall take a look at Duchy Holidays. All the latest details and announcements can be found on the Porthleven Food Festival website at porthlevenfoodfestival.com or by following them on Facebook, Instagram or Twitter. That it is more reasonable to buy your Eden Project entry tickets from our visitor centre, than it is to buy them on the door at Eden or even online on Eden's own website. We are pleased and proud to be able to offer 15% discount on all tickets (11% on family tickets) if you purchase you ticket from our office at Wheal Leisure House. Prices changed on the 11th April and include the return of the Senior citizen ticket and a reduced rate family ticket. The added bonus is if you are a UK taxpayer, instead of paying the entry fee, if you choose to treat the ticket purchase as a donation, Eden will give you an annual pass that will allow you to visit, free of charge, every day for a year. And because Eden is a charity, if you donate in this way they may be able to claim tax back from the government’s Gift Aid scheme. This does not cost you anymore than our advertised prices. Eden Project is considered to be one of the seven new wonders of the modern World, which includes other amazing attractions, like Sydney Opera House, The Golden Gate Bridge and the Channel Tunnel. Experience the sights, smells and scale of the rainforests in the Rainforest Biome - the world's largest greenhouse - and discover the tropical plants that are used to produce everyday products. Travel to South Africa and California, as you amble amongst the orange and lemon trees, olive groves and gnarled vines of the Mediterranean Biome, and in the 30-acre Outdoor Garden see hemp, sunflowers and other plants that could change your future, flourishing under the Cornish sun. A fascinating location, but, more importantly, Eden is a fun and family-friendly day out. Curious kids can find out where tea, rubber and sugar come from, and travel the world to the simulated environments of tropical destinations that they dream of traveling to in the future. There are themed events according to the seasons, workshops for adults and children, activity days, music concerts and much more besides. There's no stress about packing up a family survival kit - facilities include on-site restaurants and cafes, gift shops and well equipped child- and baby-friendly toilet facilities. In fact, for a day out you needn't worry about taking much more than yourselves. Eden also offers easy access to wheelchairs and buggies, and dogs on leads are welcome in all the outdoor areas of the site. There's so much going on at Eden that it's good to check their own events calendar and food menus before a visit to make sure you don't miss out on anything. Launched in 2009 Perranporth SHOUT has become a major event in Cornwall’s Music Calendar. From humble beginnings of a Sunday afternoon gathering of shanty singers on the beach the event is now held over three days in five different venues. Saturday night concert headline performers include Captain Cat and the Sailors, The Longest Johns, Back Beach Boyz and Flash Jack. The SHOUT was conceived by local group ‘Stamp and Go’ as a Shanty Festival but over the years the horizons have broadened to include songs of the sea, Cornish songs, original writing and a showcase for young groups who enjoy traditional harmony singing. Supporting the Shipwrecked Mariners Societywhich exists to provide financial help to merchant seafarers , fishermen and their dependants who are in need. Perranporth SHOUT is organised by ‘Stamp and Go’ and supported by Skinners Brewing Co. The Easter holidays are nearly upon us and we have put together a family friendly things to do list during your stay in Perranporth. The weather is looking good so get out and enjoy the sunshine. Callestick Farm Ice Cream- The perfect spot for an afternoon tea, they offer a lovely selection of cakes and sundaes. Our favourite is their clotted cream and strawberries ice cream but with a huge selection of delicious treats you'll find it hard to decide. It's great for children too as there is an outdoor play area to keep them busy along with a small selection of farm animals. 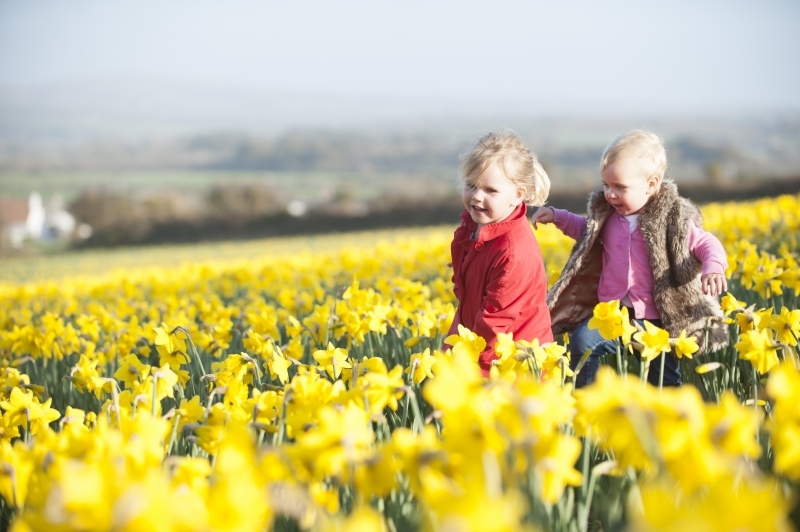 Healeys Cyder Farm- Families can join in on an egg-citing farm adventure with Healeys Golden Egg Hunt running everyday throughout the Easter holidays. Collect a map from the visitor centre to guide you around the farm. Hunt down the egg shaped signs containing a letter hidden in different nooks and crannies. From the cobbled courtyard to animal walkway, families can find all the letters that will create a clue as to where the Golden Egg is hiding. Find the egg to claim a treat. Meet friendly farm animals along the way, including rabbits, goats, horses and pigs. Dogs are welcome to join the family fun on a lead. Scorrier Easter Egg Hunt and Fun Run- This Easter Monday (22nd April), Sorrier House will be hosting its first ever Easter Egg Hunt and Fun Run. In the ancient garden, children can search for chocolate eggs atop mining relics and in hidden walled gardens. Meanwhile, adults can participate in the first easter egg fun run around the Scorrier Estate. Same rules and chocolate but tougher competition! Finally, both parties can celebrate and recuperate with refreshments inside Scorrier House itself. Tea, coffee and cakes will be available throughout the afternoon. National Trust Easter Egg Hunt- Located at Trelissick the Easter Egg Hunt is back for another year with the spring garden full of clues to find and puzzles to solve. It’s time to put on your explorer’s hat, venture into the garden and get closer to nature. Easter at Eden- It’s spring time at Eden and there are lots of new indoor and outdoor games and activities for the whole family to try out their farm-themed Easter event. Join the Eden Farmers to help round up their animals and learn what makes crops grow. Play a-mooo-sing games and eggciting activities. Collect stamps to fill up your card and eggschange them for cracking prizes! Easter is officialy the latest date it has ever been in April, with Good Friday not until the 19th April. But the good news being, that the children don't have to wait that long as they will happily break up on Friday the 5th April, so a full two week before. Have you an Easter break in your sights?..... Do you fancy feeling the sand between your toes and listening to the sound of the crashing waves and seagulls overhead? Walk along the cliff paths, taking in the aqua sea and the bobbing sea thrift. Well there's lots of Easter availability still to be had, including beachside apartments and tucked away romantic retreats. Situated in a prime position within only 50 metres of Perranporth's magnificent three-mile sandy beach, Beachcomber is a pet-friendly two bedroom villa sleeping six, located in an ideal position from which to easily access some of the best coastline in the country. One of only four Beach Houses in the stunning new development The Dunes in Perranporth, built on the site of the old Ponsmere Hotel, Cloud Nine is a beautiful three-storey stylish family property to sleep eight, in an exceptional location with sweeping coastal views. A superbly located three bedroom, second floor apartment enjoying panoramic sea views from the sitting room, dining room and main bedroom, Droskyn Villa 7 has recently been fully refurbished and redecorated to make the most of the beautifully light and airy rooms. The newly fitted grey gloss kitchen is open plan in a U-shape with the sitting room and dining room, and fully equipped with an electric oven and hob, microwave, fridge with freezer compartment, and dishwasher. Newly completed this year, The View is a large and sunny reverse level property enjoying wonderful beach and sea views from its elevated position in the sand dunes. One of a pair of detached houses, a shared driveway between the properties leads to the back of the buildings and opens out to a large parking area with space for three cars for The View. Access to the house can be gained from either the front or the back into a spacious hallway. High ceilings and glass sided wooden stairs ascending from the hall make the space light and airy. Arrival days are flexible as is duration, click on the links for more information, to book either call on 01872 572971or fill in our accommodation enquiry form. On 7th April Perranporth Memorial Hall will be hosting it's first plastic-free farmers market. For zero-waste essentials, scrumptious bakes, free-range meats and dairy, fresh fruit and veg and many more local goodies. There will also a beach clean before the market opens. Mr Fruity- Located in Goonhavern off a selection of fresh fruit and veg. From 1st March 2019 they will be also offering refill on pasta, baking goods, herbs, spices, tea and coffee. The Veg Shop St Agnes- currently being newly refurbished. They offer fresh fruit and veg all sourced locally within a 15 mile radius of the shop. Coop (with parking) offers recycling for plastic food containers such as wrappers and packaging. Perrranporth TIC is the local biro pen recycling point. Seathrift preloved boutique offers recycling for unwanted bra's. Along with this their shop specialises in preloved clothing. You will also notice in the pubs across the village the use of paper straws which have replaced the plastic straws which were previously used. 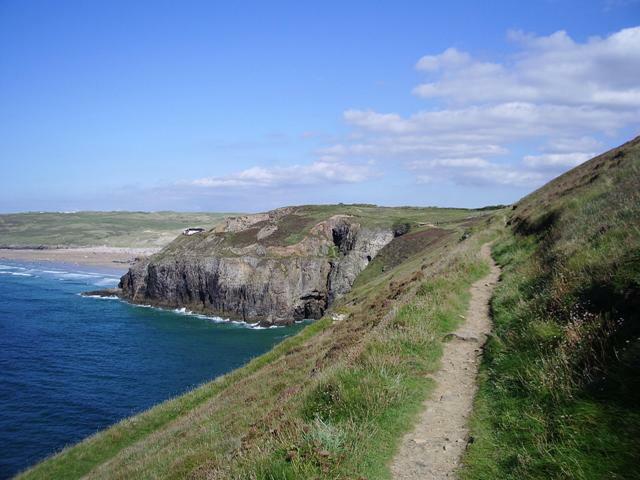 Five walks with breathtaking views chosen from our friends at The South West Coast Path. Breathe in the freshness of the sea, listen to the waves breaking on the shoreline and take in the panoramic views of outstanding natural beauty along the Cornish coastline. Take a short stroll through the silent remnants of what was once one of Cornwall's busiest mining areas. In summer this is a riot of colour, with blazing gorse bushes and banks of vivid heather, wildflowers dotted between them and the mineral-stained cliffs startlingly red against the blue sea. In places the stony path passes close to high cliffs. The Coast Path runs between a stone hedge, covered in the lichen sea ivory, and the open maritime grassland topping the cliffs, home to colourful wild flowers such as Dyer’s Greenweed and Saw-wort. A circular walk with spectacular views of Rosemullion Head, secluded coves and the beautiful Helford estuary, where wild garlic and bluebells grow in abundance along its banks at this time of the year. Kelsey Head is a Site of Special Scientific Interest with a wide range of habitats, the most extensive being the sand dune system and the maritime grassland. Watch out for seals around The Chick and check out the prehistoric cliff castle on the headland. From magical Lamorna Cove this walk follows the South West Coast Path to St Loy's where in the spring the stunted oak and sycamore coastal woodland is bright with wildflowers. Going back, enjoy walking through ancient fields passing stone crosses and standing stones. from all four corners of the globe – all in one day out in Cornwall. All free with a normal Eden admission ticket, which can be purchased at a reduced rate from our new visitor centre at Wheal Leisure House. Arctic story including meeting a polar bear! Join the Eden Storytellers and learn about the mysteries of the Arctic and listen to an old Inuit story about a polar bear. Watch Claudia perform the beautiful Spanish dance of Flamenco accompanied on guitar and vocals by Jaime. Then dust off your dancing shoes and join with a wonderful Flamenco workshop after each performance. Listen to the authentic sounds of Australia with engaging performances from Copperman. how to play and the culture behind them. carnivals around the Rainforest Biome. Rainforest in a wonderfully colourful and musical parade. Try your hand at blowpipe training - how many targets can you hit? As featured in the Sunday Telegraph’s top 10 half-term UK breaks. Thursday last week dark clouds descended over Perranporth, the heavens openend and the large waterfilled snowflakes began to fall. Earlier that day it has rained heavily and although we were dubious as to whether the sea salted wet ground would allow it purchase, it stuck non the less and it wasn't long until the beach, green and high street were covered under a white shimmering blanket. Whilst other parts of the country continue to function normally under such circumstanses, the rarity of this occurance in Cornwall seems to grind us all to a halt. Schools were hurridly emptied of the loud, excitable students around the County, with buses and cars abandoned at the side of the road, causing more chaos and confsuion than was probably necessary. The sand dunes became the playground for the rest of the day, with adults and children alike whizzing down the banks on boogie boards, trays, and bascially anything that was flat and slippery. The very next day most of Perranporth was back to normality, albeit it was icy cold and the chill of the wind biting, it was as if it hadn't happened, the only remnants of the snow were the odd melting sideways snow man and the treacherous ice on the pavements. In complete contrast, today is balmy, the temperatures have reached ten degrees, the sun is beautifully warm and it feels positively Spring like. Some of the shop owners are out painting, cleaning and preparing, which is always a sign that the new season is upon us. Whether we will have another sprinkling due before the Winter is out is not yet known, but rest assured that we will we will always endeavor to be here and provide a service for our visitors, whether rain, snow or shine. One of our staff members even came into work on a tractor last week....... Only in Cornwall.